How It Works - GMTelCo Communications Business Phone System. PBX, SIMPLIFIED, RELIABLE AND EFFECTIVE: Whether you are a new comer or an established brand, your budget is your plan. Professional, easy to use technology to get your business to the next level is available at your fingertips. Don’t compromise quality for invoice: with us you have it all. Enjoy all the available features that VoIP hardware will give your business; the image and credibility your traditional landlines can’t offer. STREAMLINE PERSONEL WHILE KEEPING THEM CONNECTED. Keep your team connected at all times. Be available for your office 24-7 while focus on the things that matter most to you. Reach multiple locations under the same system. Select the contact number that works best for you and be always available to assist with your customers’ needs before your competitors can. Never lose touch with your business. Your company goes where you go… Whether on the road, at the office or out of the city, GMTelco Communictions bridges the business to you. Your cell phone is now an extension of your PBX box, effectively eliminating additional ties to your desk. Be mobile, be always available. Desktop units are available at competitive prices in ways traditional phone numbers aren’t. Be accessible at all times with a touch of a button. GMTelCo Communications makes your laptop, tablet or desktop computer a virtual office. Why sacrifice revenue for convenience, when you can have it all? 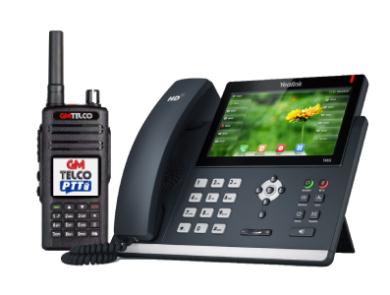 GMTelCo Communications, a hosted PBX VoIP and telecommunication solution experts, employs the Internet to originate and receive phone calls. VoIP technology converts voice into data packs that are consistently sent thru the Internet using high-speed or fiber connection. Therefore, the quality, pricing and features option provided are much more adaptable, engaging and cost- effective. We provide the hosting and management of the technology used, so you are not responsible for setting up or handling complicated or sensitive equipment that will disrupt your daily operations. Therefore, you will have a better PBX phone system to use that meets your budget concerns and do not compromise quality. Your phone units are ready to use and will require minimum to no programming once you receive them. And of course, as a United States – based company, you will receive assistance in your language. Copyright © 2003-2019 GM Group Enterprises, Corp dba GMTelCo Communications. All rights reserved.